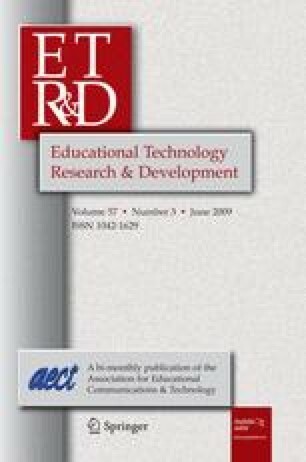 This article reviews past empirical studies on the use of audio podcast (hereby referred to as podcast) in K-12 and higher education settings. Using the constant comparative method, this review is organized into three major research areas or topics: (a) participants’ podcast usage profile, (b) effects of podcast on learners’ outcomes, and (b) institutional aspects. Findings suggest that the most common use of podcasting is limited to either instructors distributing podcast recordings of lectures or supplementary materials for students to review subject material at their own time and place. A majority of the previous studies were descriptive, and were conducted in higher education and traditional course settings. Students generally enjoy using podcast, and tend to listen to the podcasts at home using desktop computers, rather than on the move (e.g., commuting to school) with a mobile device. Probably the main benefit of podcasting is that it allows students to listen to specific material that they missed or did not understand multiple times. The availability of podcast does not appear to encourage students to skip classes. We also discuss limitations of previous empirical studies, and provide some directions for future research related to the use of podcast in education settings. Abt, G., & Barry, T. (2007). The quantitative effect of students using podcasts in a first-year undergraduate exercise physiology module. Bioscience Education, 3. Retrieved on April 10, 2008 from www.bioscience.heacademy.ac.uk/journal/vol10/beej=10-8.pdf. Blaisdell, M. (2006). Academic MP3s ≫ Is it time yet? Campus Technology. Retrieved on June 26, 2008 from http://campustechnology.com/articles/40744/. Dixon, C., & Greeson, M. (2006). Recasting the concept of podcasting (Part I). Retrieved July 1, 2008, from http://news.digitaltrends.com/talkback109.html. Doyle, B. (2005). The first podcast. EContent, September issue. Retrieved on July 1, 2008 from http://www.econtentmag.com/Articles/ArticleReader.aspx?ArticleID=13515. Evans, C. (2007). The effectiveness of m-learning in the form of podcast revision lectures in higher education. Computers & Education. doi: 10.1016/j.compedu.2007.09.016. Frydenberg, M. (2006). Principles and pedagogy: The two P’s of podcasting in the information technology classroom. The Proceedings of ISECON 2006 Dallas. Retrieved on October 5, 2007 from http://isedj.org/isecon/2006/3354/. Kleinschmidt, R., & Harrington, J. (2006). Digital lecture recording and distribution at UC Davis: Report on Fall 2005 Pilot and Winter 2006 developments. Retrieved on June 27, 2008 from http://podcasting.ucdavis.edu/report.2005-2006.cfm. Menzies, D. (2005). Duke University iPod first year experience final evaluation report. Retrieved on June 26, 2008 from http://cit.duke.edu/pdf/reports/ipod_initiative_04_05.pdf. Pew Internet and American Life Project. (2005). Podcasting catches on. Retrieved on April 22, 2008 from http://www.pewinternet.org/PPF/r/194/report_display.asp. Van Orden, J. (2005). How to podcast tutorial. Retrieved on August 28, 2008 from http://www.how-to-podcast-tutorial.com/what-is-a-podcast.htm.